Gerber announced a new multitool that many sport shooters, hunters and outdoorsmen might like. It is called the Center-Drive Multitool. One of the main features of this tool is that it features a driver that uses standard bits and is aligned along the center line of the tool. a full size, outboard knife that is said to be 30% longer than the Leatherman OHT. There is a thumb support on the multitool to give you better cutting power with the knife. This blade has a plain edge. spring loaded pliers. This is a feature that I really like. I’ve had multiple multitools and have always found that non-spring loaded pliers can be a bit of a pain to work with. thumb opening for main tools. The driver, knife and pliers are all deployed with a quick flick of the thumb, making them as easy to access as a common knife. 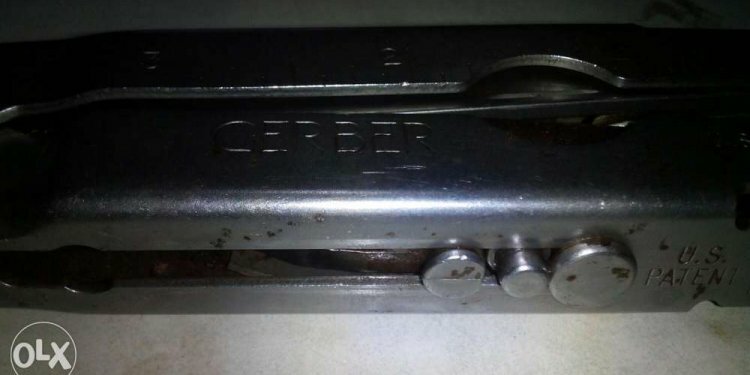 How to open Gerber Multi tools?